We’re all accustomed to the usual beach flex, but what about those days where you’re not too thrilled about hot sun, sand and sometimes overcrowded venues? 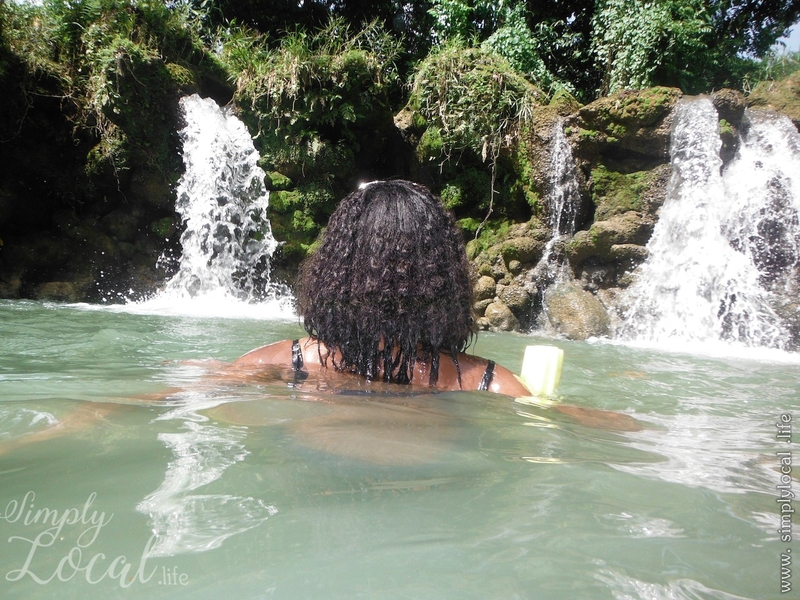 For those like me who appreciate Jamaican waterfalls and river “wash offs”, the trip to a refreshing, natural stream may not naturbe as far as you may think! Though dozens of rivers could’ve been included here, let’s start with 1 per parish. * The original article was posted on Sun Island Jamaica Ltd’s website in 2015. Since then, it has gotten tremendous feedback which caught me by surprise as my first ever blog post. I’ve visited some of the mentioned waterfalls/rivers since the original article and have edited accordingly. Be prepared to do a short hike or ride to seek out this majestic treasure. The route traveled (found here) included an easy 10-minute walk after parking at an all-age school, which served as a driving dead end. There’s also a longer path which includes walking through the Hermitage Dam. Located in the lush green terrains of Cudjoe Hill, the area houses a large collection of art by Jamaica’s native inhabitants, the Tainos, and shows clues to their early existence. A favourite among residents of the town for a cool dip. After the highway toll booth, turn left at Sandy Bay and be blessed. A river, beach, and small hamlet together on an isolated stretch of south-facing coastline. The name is said by the locals to derive from the German word for ‘good’. From its entrance, you wouldn’t imagine all the hidden beauty inside! It starts as small streams flowing into a natural pool but as you hike upwards you’ll find bigger, deeper cascades. Click to view all 4 pools and what to know about each. The phrase “difficult roads lead to beautiful destinations” rings true here. 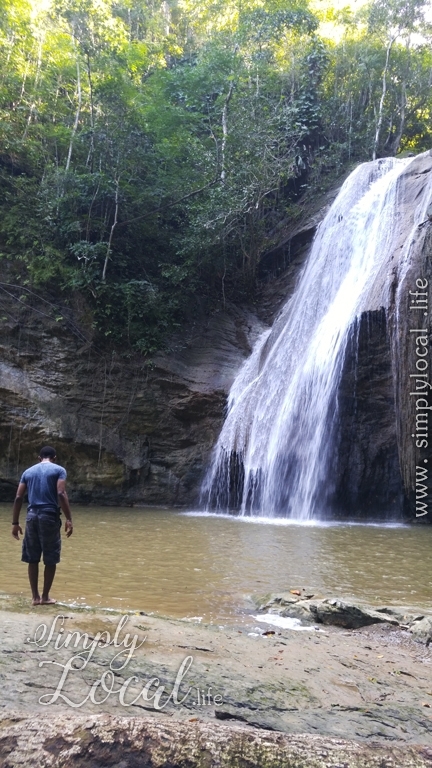 Located high in the hills, this cascade series is home to 20+ natural pools, 52 types of ferns, and lots of exotic species native to Jamaica. See highlights here. Nestled within a secluded mountain setting on the western part of Jamaica, Discovery Falls is situated in Silver Spring, 15 minutes outside of Negril. Palm trees and beautiful gardens line the lagoons. Natural springs nestled on the edge of the mountain with 1000ft zip line through the canopy. The Great River is one of Jamaica’s major rivers, and forms the boundary of the parishes of St. James, Westmoreland, and Hanover. It is greatly used for a rafting, along with river tubing. This acts as the source of the Rio Bueno River. The spring water is said to come from a rock on the pool’s left side, and the river begins its descent to the sea on the pool’s right. This large cascade series is nestled in the hills of St. Ann overlooking the resort area of Ocho Rios, just five minutes away from the town centre. The ascension of the falls is easier than it may look; I recommend climbing for the sheer satisfaction, plus lying on the rocks near the top as you listen to the flowing water. The venue also includes a Taino Museum, mini-zoo, and eatery for a full day of enjoyment. A mostly deep pool beneath the falls, with some very warm spots (I’ve been told), is great for a refreshing dip. You may have the option to hike from various points in the Robin’s Bay area (roughly 1h 30m) or take a boat to cut out a significant portion of the trip (approximately 30m hike). There are many guide offerings in the area, pick one and go. View highlights here. Located in Moore Town, the falls are about a 30 to 45 minute hike, and is said to be totally worth it. Tucked away in nature, the secluded waterfall plunges into a deep pool. Ask residents of the community to guide you, like I did! Known by residents as “damhead”, the water of this man-made dam plunges several feet into the Johnson River. In the last few years, it has become an increasingly popular attraction for locals and tourists alike. Have you been to any of these (especially the ones I haven’t)? Please share your experience(s) in the comments. You can join as a reader and / or a business (for collaboration opportunities). Hi JhunelleI Great entry. I recommend Brae Head Falls in Clarendon. I did a hike to Bull Head Mountain and went ti this falls. That trip really changed my idea about Clarendon. There are some really beautiful parts. Yes there are! Want to explore more of it and a few other parishes I don’t frequent. Thanks for this reference! It really is, Danica 🙂 Lived here all my life & am still finding so much to do! Glad you’ve found inspiration. this is still very relevant J! Thanks, indeed it is. Still haven’t gotten to cross some of them off my list! Also thank you for this great Blog, excellent work! Yes there are, this is only a handful. Thank you too for your kind words, it helps keep me motivated! Been to Salt River, Gut River, Dornoch Head & Konoko Falls. Didn’t start vlogging yet when I visited the Salt River & Dornoch Head but I hope to revisit them in the near future. They were both lovely spots. I hope to visit your first 3 in the near future. Which was your favourite? Definitely Guts River. It is the best of both worlds. Thanks for sharing them. I am excited to explore the ones I have never been to. You’re welcome, so am I 🙂 All in due time. Your stories and photos of Jamaica are beautiful. Thank you! Also, thanks for subscribing 🙂 I love my country.